One of my first expeditions out of Istanbul was a school trip. I’d started working at a small private high school as a teacher of English. My English colleague and I tagged along with a coach-load of Turkish students and teachers. Our itinerary took in the small town of Çanakkale on the Asian shore of the Dardanelles, the archeological excavations of Troy, and the Aegean seaside village of Behramkale, alongside another historical site, the ancient city of Assos. I was really looking forward to seeing the ruins of Troy, but it turned out that Çanakkale was, in fact, the most important destination for us. It was 17 March and the town was buzzing. We stayed overnight in a hotel, rose early on Saturday morning and found vantage points near the town square to watch the parade. There was music and dancing, military bands, students from dozens of local schools regaled in traditional folk costumes – all the ingredients of a major celebration. And what was the occasion? Çanakkale Victory Day. Well, it’s possible that you may not immediately get the significance of this, so let me go on. After the parade, we crossed to the European side of the strait and were taken on a guided tour of the graveyards, museums and battle sites of what we grandsons and daughters of the British Empire know as the Gallipoli Campaign. We saw row upon row of gravestones in neatly kept cemeteries preserving the memory of the estimated quarter of a million young men who died in this tragic sideshow of World War I. We climbed to the highest point on the peninsula, Conk Bayırı in Turkish, known in English as the ridge of Chunuk Bair. There we saw the larger-than-life statue of Mustafa Kemal, the Turkish colonel whose success here began his rise to eventual founder and first president of the modern Republic of Turkey. Nearby, on the ridge whose name is immortalised in a play by New Zealand author Maurice Shadbolt, there is another, slightly smaller monument. No statue adorns it – merely a laconic inscription in English, ‘From the Uttermost Ends of the Earth’. 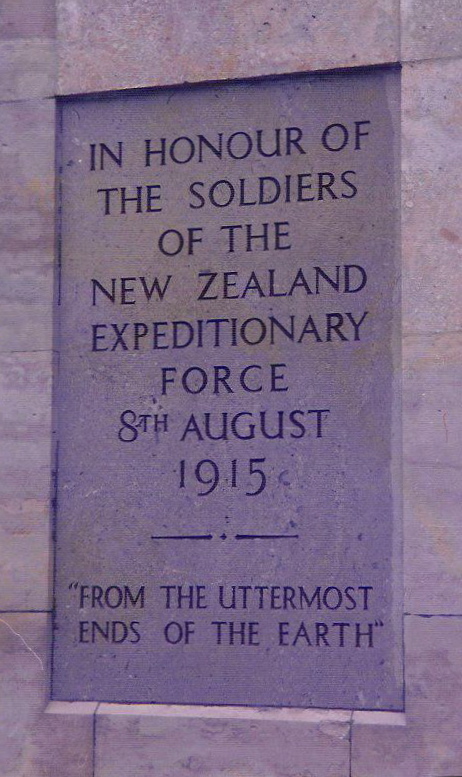 It commemorates the hundreds of New Zealand soldiers who died while capturing and holding, for a brief 48 hours (undoubtedly an eternity to the few who survived) this desolate peak which, it is said, held the key to the entire campaign. Of course others died too. West Country men, from Gloucestershire and Wales fought and died alongside the New Zealanders . . . and hundreds of Ottoman soldiers fell too, urged on by their commanders who well understood the strategic importance of Conk Bayırı. They recaptured the ridge on 10 August, 1915, and Allied forces never again succeeded in getting so near to achieving their goal, though they remained four months more on the peninsula, pouring out their blood on the beaches, the slopes and in the ravines of Gallipoli, before the bitter Thracian winter convinced their commanders that the campaign was a lost cause. Anyway, I guess you’re with me now. You’ve realised that the futile exercise in human slaughter we refer to as the Gallipoli Campaign, is known to the Turks as the War or Battle of Çanakkale. They didn’t have much to celebrate after the so-called Great War, so they are justifiably proud of their success in defending their homeland against Allied invasion. What bothered me, however, as I toured the trenches, trying to imagine the carnage that had taken place here, eighty years before, was . . . how come the Turks are celebrating their victory on March 18, when we hadn’t even got here till April 25? My first thought was that it might have something to do with the Islamic calendar. After all, the Ottomans continued using the old lunar reckoning based on the Prophet Muhammed’s journey to Medina, right up until their final dissolution. But, no – 18 March, it seemed, was 18 March; and 25 April, by anybody’s calculation, comes five weeks later, so long as they occur in the same year, which they did, on this occasion: 1915. What to make of that? So I did a little digging, and it turned out that the Turks, of course, have a very good reason for their choice of dates. It’s important to understand, first of all, what exactly the ANZACs and other sons of the British Empire were doing on that desolate peninsula, some 2000 kilometres from the action on the Western Front. In fact, the situation in France and Belgium had bogged down pretty early on in the war. First Lord of the British Admiralty, Winston Churchill, came up with the idea of supporting Russia to mount a major offensive from the east. Problem was, the only realistic supply route for Russia was via the Black Sea and the Bosporus Straits, which were controlled by the Ottoman Empire, who, of course, were fighting on the German side. So, you take out the Ottomans, open up the Bosporus to Allied traffic, bolster up the Russkies and pincer the Germans and their allies by opening up a second major front in the east. Very neat. And who better to sort out the Ottomans than the Royal Navy, in those pre-air force days, the world’s premier fighting force. Unfortunately, it didn’t work. The Ottomans had had fortifications on the Dardanelles for 500 years, and, with a little help from their German allies, had some fairly serious shore-based firepower at a point where the straits are less than two kilometres wide. They’d also had sufficient warning of the impending assault to lay mines as an extra deterrent. Nevertheless, the British, aided by the French, felt confident of their naval superiority, and sent a force of eighteen battleships plus assorted cruisers and destroyers to force their way through to Istanbul. Despite possessing such imposing names as ‘Irresistible’ and ‘Inflexible’ (and their French equivalents) three battleships were sunk and three more severely damaged. Discretion was deemed the better part of valour, and the Entente navies retired to lick their wounds. The sea approach was crossed off the list of strategies, and Allied thoughts turned to Plan B. Plan B? You guessed it – a land invasion of the Gallipoli Peninsula aimed at neutralising the Ottoman shore defences so that the battleships could sail through with less discomfort, heave to in front of the Sultan’s Palace in Istanbul, and order the Grand Turk and his Sublime cohorts to come out with their hands up. Well, Europeans had been making jokes about ‘The Sick Man of Europe’ for so long that they didn’t expect much serious opposition. Perhaps a little less gung ho jingoism, and some knowledge of history might have resulted in a more realistic approach. 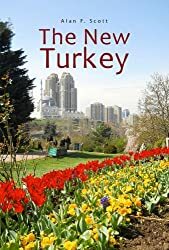 It hadn’t been that long since the Ottoman army was feared throughout Europe; and while they were no longer threatening to overrun Christendom, they might have been expected to put up stiff resistance to an invasion of their homeland. Carrying out an invasion from the sea is a notoriously difficult military activity. The Allied forces achieved it at Normandy in 1944, as a result of elaborate planning, enormous investment of manpower, equipment and supplies, huge naval and air force support, not to mention the participation of the United States of America. Even so, there were horrific casualties. In 1915 aerial warfare was in its infancy, and naval bombardment seems to have been as much of a curse as a blessing for the Allied troops on the ground. Nevertheless, Plan B went ahead. Regiments of young men from all parts of the British Empire were landed on Gallipoli beaches to face the machine-guns, artillery and bayonets of entrenched and determined troops fighting for the defence of their homeland. Predictably, Plan B was a worse failure than Plan A. A two-day naval engagement was followed by a nine-month attempted invasion. Where the loss of three battleships and around 1000 sailors had been deemed unacceptable, a war of attrition was allowed to continue from April 1915 until January 1916, in which hundreds of thousands were sent to die in inhuman conditions with no realistic hope of success. Some semblance of justice can be said to have been effected with the metaphorical rolling of heads that followed back in London after the withdrawal from Gallipoli. Winston Churchill lost his prestigious job as First Lord of the Admiralty. The British War Secretary, Lord Kitchener, kept his job, but lost his reputation, and, in fact, died the following year. General Sir Ian Hamilton, overall commander of the campaign, was nudged into retirement, as was General Sir Fredrick Stopford, who is reputed to have slept through the landings at Suvla Bay which he was, in theory, in charge of. The Liberal Government of Prime Minister Herbert Asquith lost its majority and was forced into a coalition with Conservatives led by David Lloyd George, who not long after, replaced him as Premier. Little enough consolation for the families of the men who had died; and it is even more shocking to learn that, as far as the Turks are concerned, the war had been won before the first Allied soldier set foot on those fateful beaches. The Royal Navy was the number one fighting force in the world at the time, and if they had succeeded in forcing a passage through the Dardanelles, the war, for the Ottomans at least, would have been pretty much over. Turning back His Majesty’s battleships reduced the threat to a land invasion, which the Ottoman military backed themselves to repel. Those heroes that shed their blood and lost their lives… You are now lying in the soil of a friendly country. Therefore rest in peace. There is no difference between the Johnnies and the Mehmets to us where they lie side by side now here in this country of ours… You, the mothers, who sent your sons from faraway countries, wipe away your tears; your sons are now lying in our bosom and are in peace. After having lost their lives on this land, they have become our sons as well. I haven’t been able to verify the story, but it’s an interesting and not implausible one, it seems to me. This entry was posted in ANZAC, Atatürk MK, Çanakkale, Chunuk Bair, Gallipoli, Winston Churchill. Bookmark the permalink. This is a very informative welcoming message for Anzacs who would like to visit Çanakkale this year. Thanks for sharing.